This is an Atlas Round and Flat Camel Hair Brush Set. 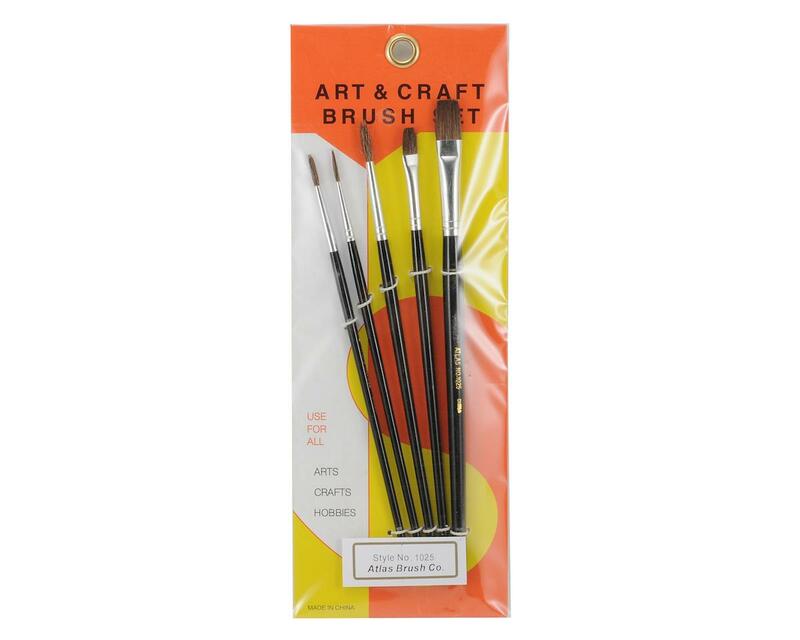 This set includes a total of five brushes featuring camel hair. 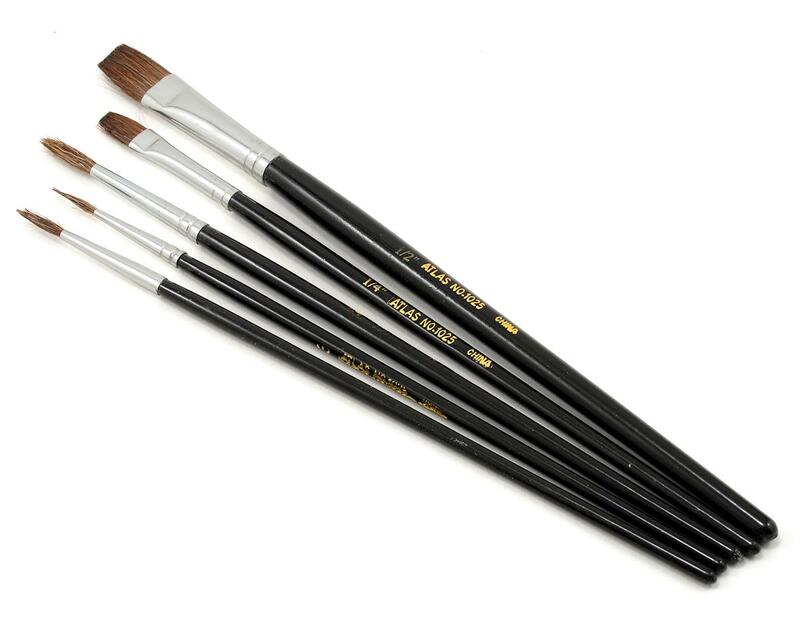 Three brushes feature round tips and two feature flat tips.